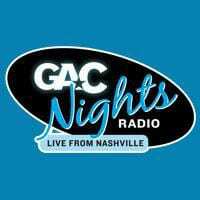 The syndicated radio show GAC Nights: Live From Nashville is coming to an end tomorrow (9/30). It was on-air almost two years but couldn’t find another home when its contract with Citadel radio ran out. Exiting are Executive Producer Donna Hughes, co-host Buzz Brainard, and Associate Producer Renee McNeill. Hughes, with 21 years of experience in the country music industry, will be focusing on freelance work. Her career includes time as a journalist, talent booker/coordinator, writer, interviewer, producer, executive radio producer, and on-air talent. She can be reached at donnah7575@yahoo.com. Brainard is at me@cambuzzbrainard.com and McNeill can be contacted at Reneelmc5@aol.com.